If you have an iDevice that you want to update to the new iOS 9.1, then you’ve come to the right place, because today we’re going to tell you everything you need to know about this subject. First of all, you will need to backup the data from your iPod, iPad or iPhone by using iTunes or iCloud. Keep in mind that the backup will also include TV shows, books, applications, photos and videos that you’ve done with your Camera, device’s settings and more. At the same time, you should have a compatible copy of iOS 8 just in case you change your mind and want to downgrade your device back to the iOS 8. If you don’t have limited space on your device, then you won’t be able to perform the update. However, you can fix this issue by removing content that you don’t need anymore, such as old videos or music. You will also want to update the iTunes version on your Windows PC or Mac OS. If you don’t update the iTunes version, there are high chances that your device will not be recognized. We remind you that the iOS 9.1 version was released by Apple this month and it is now available for all compatible iPhones and iPads. To update your iPhone or iPad to iOS 9.1 is quite easy, as you should get a notification telling you that a new version of iOS is available for your device. You will need to confirm this and a download will start. We suggest you to connect your device to a Wi-Fi network in order to not waste your mobile data. 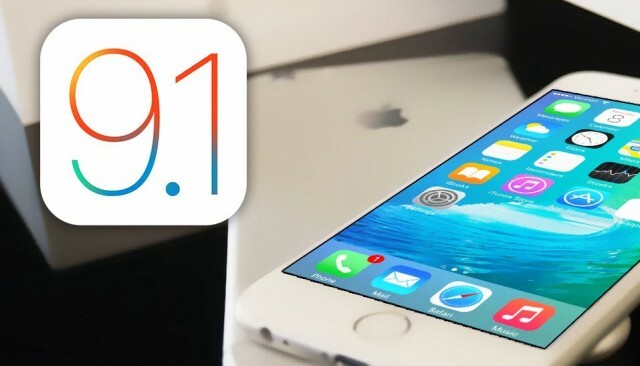 After the download finishes, you will be able to install the iOS 9.1 on your iPad or iPhone. We suggest you to make sure that the device’s battery has at least 70% juice left. However, if you’ve never updated the operating system on your iPhone or iPad before, we will give you a step by step guide below. As we’ve told you above, the update on your iPhone and iPad will be “pushed” automatically. Normally, you will get notified that your device is ready to get updated to a new iOS version. However, if you don’t get it, you can manually check for an iOS update on your iPhone or iPad by going to Settings->General->Software update. This way, you will force your iPhone or iPad to check for the latest update. Once you do this, you will get an alert saying that the iOS 9.1 is available for your device. Before you tap on the “Download” button, make sure that you connect to a Wi-Fi network so that you won’t waste your mobile data. Once the download ends, you will be able to tap the “Install” button to start the actual installation of the iOS 9.1 update. A new “Proactive” Siri-activated personal has been added, which acts like the Google Now application for public-transport direction (along with other new features). At the same time, the new iOS comes with an improved Maps application, improved Multitasking, overhauled Notes Application and a new News application. The keyboard has been redesigned and improved and some of the visuals are a bit different to please your eyes. The new operating system comes with battery life improvements that should bring around one hour of extra power. At the same time, the new OS comes with a new low power mode that will extend the battery life even more. Should You Update To iOS 9.1? As long as your iPhone or iPad device is eligible to be updated to the iOS 9.1, then you should go for this update. Even if you don’t care so much about the new features, then you should at least be interested in all the bug fixes and compatibility fixes with the new applications. However, keep in mind that once Apple will stop signing the iOS 9.0.2 OS, you will not be able to downgrade from iOS 9.1 anymore. We remind you that the iOS 9.1 is not jailbreakable and for now, only the iOS 9, 9.0.1 and 9.0.2 can be jailbroken. With other words, as long as you want to run an “unjailbroken” iOS, you can update to iOS 9.1 without any problems. This new OS comes with many bug fixes, features and improvements. 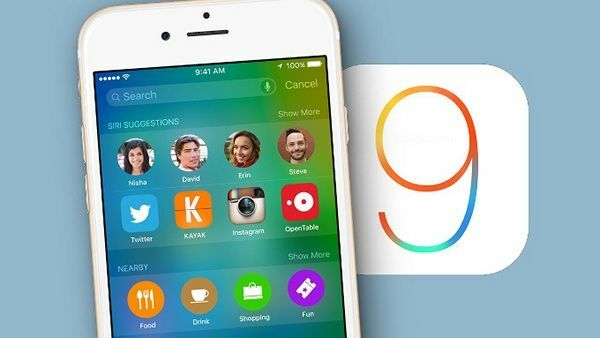 Have you updated your iPhone or iPad to the iOS 9.1? Tell us your thoughts about the latest iOS version! Have you found any issues or bugs with this new iOS version?